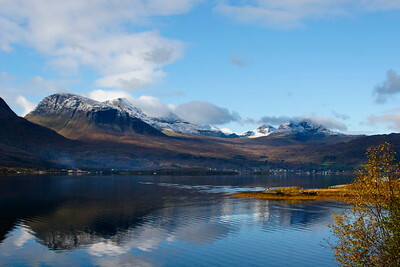 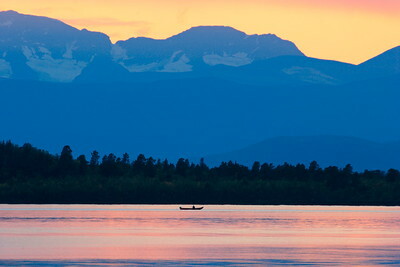 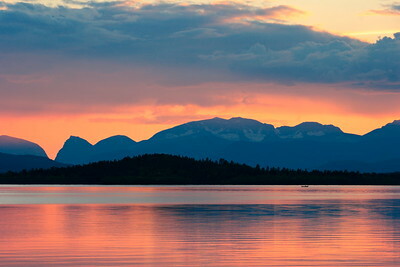 Landscapes, places and people in northern Sweden and Norway. 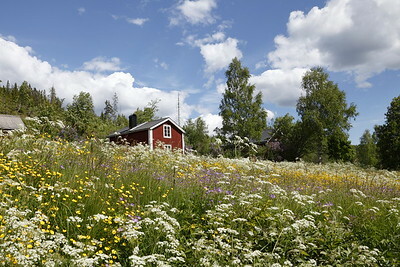 A red wooden house is surrounded by flowering meadows in spring. 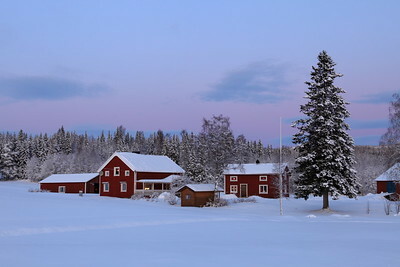 Christmas decorations are illuminating the windows of this remote farm at dusk ion winter. 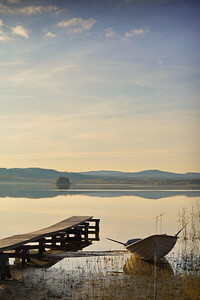 Rowing boat and jetty at lake Myckelgensjösjön. 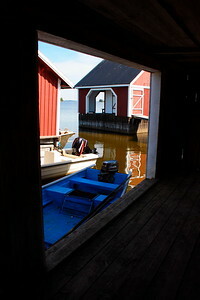 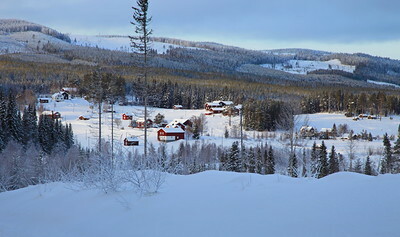 Myckelgensjö in Västernorrland, Sweden. 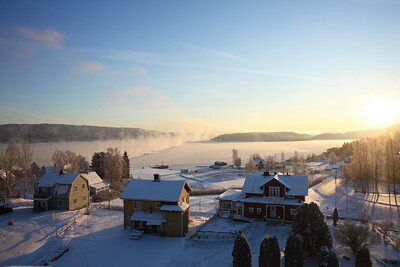 The river steams as it freezes on a very cold day in Sweden. 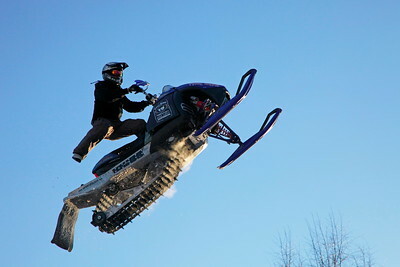 A snow mobile artist is flying through the air. 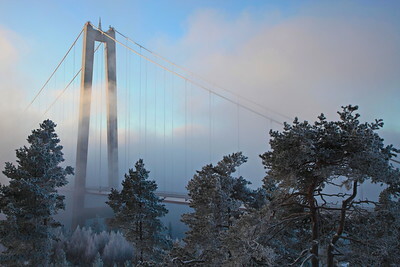 The suspension bridge High Coast Bridge over river Angermanaelv on a cold winter day. 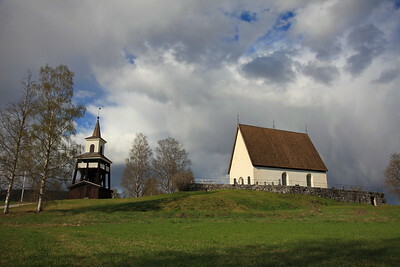 Medieval church in Oeverlaennaes in Angermanland, Sweden. 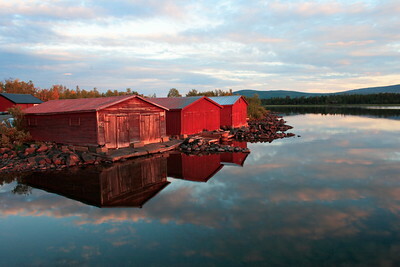 The small village Risbaeck lies secluded amid large forests in northern Sweden. 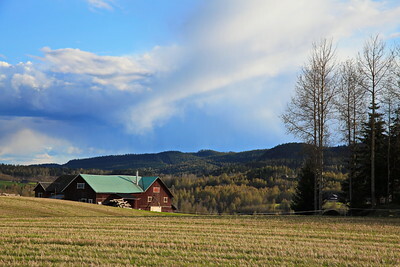 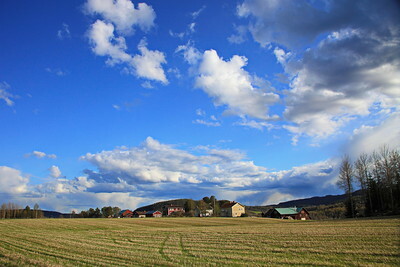 Swedish farm houses on a fine spring afternoon. 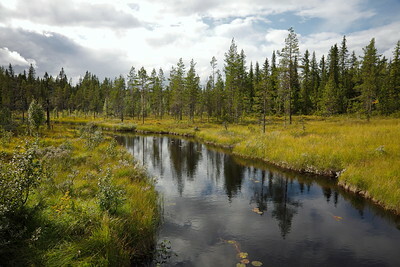 A river winds through a softwood forest on a fine day in early fall. 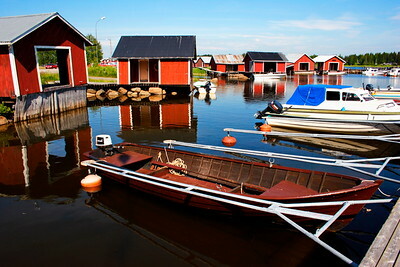 Anundsjö in northern Sweden. 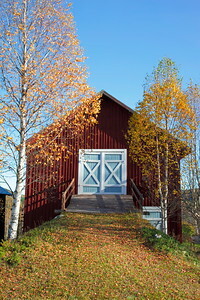 Golden birch trees are framing this red wooden barn on a farm in Sweden. 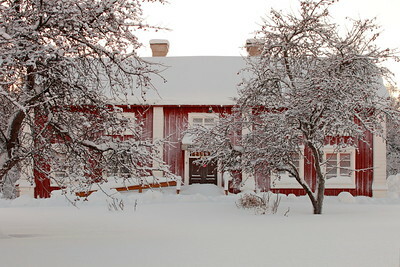 The red wooden buildings of a traditional Swedish farm stand between trees covered with snow. 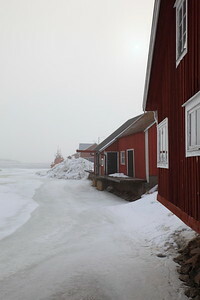 An icy day in the fishing village Skeppsmalen at the Swedish High Coast. 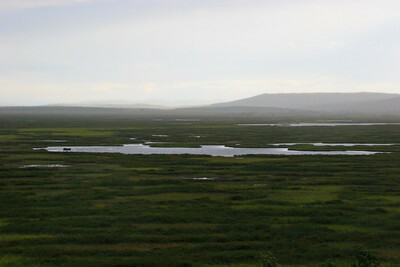 Arctic tundra landscape between Neiden and Bugoyfjord in the Varanger region in northern Norway. 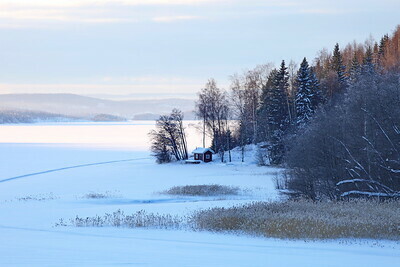 A small cottage on the banks of a frozen bay of the Baltic Sea in Sweden. 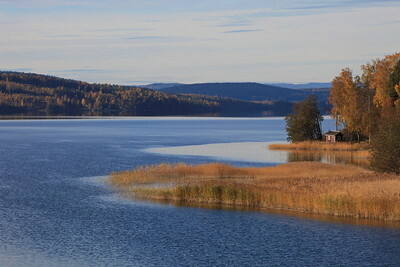 The reeds have turned golden at this bay of the Baltic Sea in autumn. 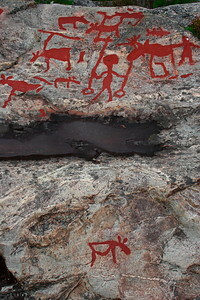 Detail from a prehistoric rock carving in Naemforsen, Sweden: Moose in different sizes surround a standing male figure holding two poles (spears?). 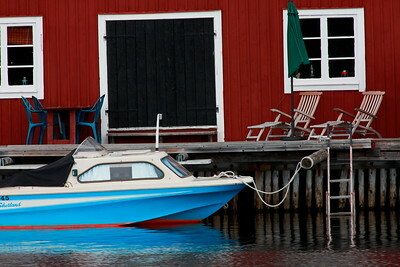 Another, smaller figure can be seen at the right side of the picture. 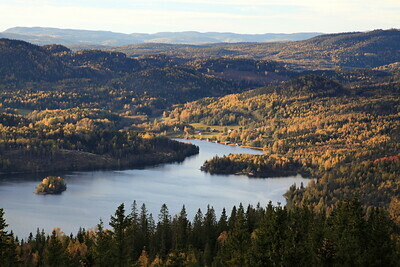 From mountain Ringkallen at the Swedish High Coast one has a magnificent view over the rolling landscape with it's lakes and forests. 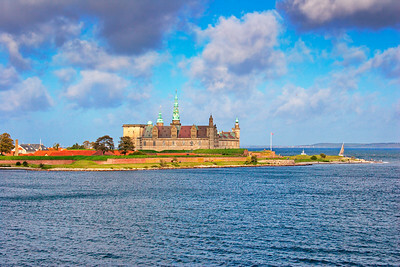 The Renaissance castle Kronborg in Helsingør seen from a boat crossing Øresund. 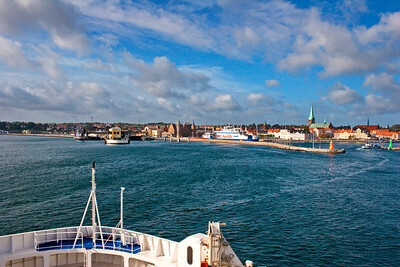 A ferry is approaching the entrance to the harbor in Helsingør seen from a boat crossing Øresund. 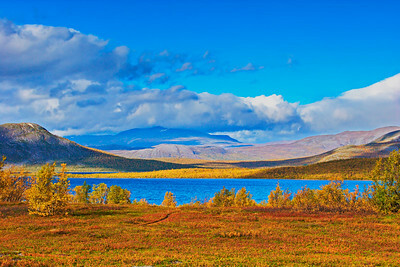 Bright autumn day at the shore of lake Torneträsk in Swedish Lapland.